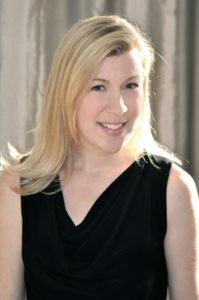 Hannah McKinnon is the author of The Lake Season and Mystic Summer. 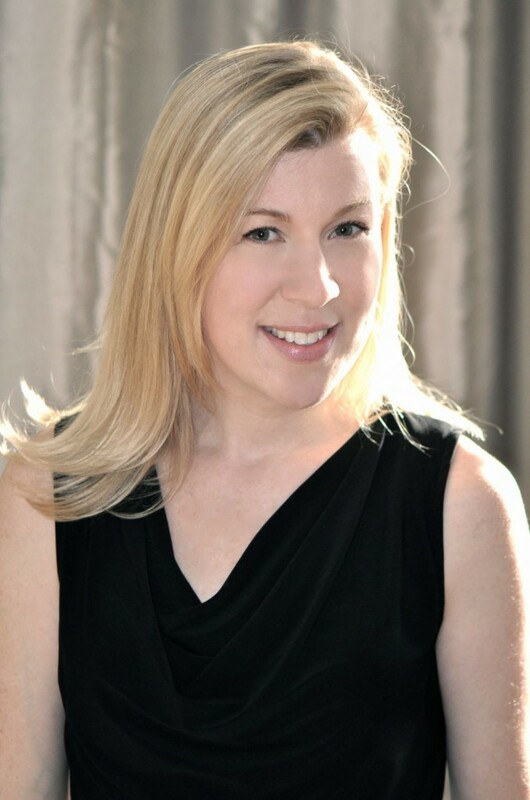 She graduated from Connecticut College and the University of South Australia. She lives in Fairfield County, Connecticut, with her family, a flock of chickens, and two rescue dogs. When I saw this title in the list of summer tours, I immediately sent an email begging to review it because it was ‘speaking’ to me. Having read it (twice) I’m glad I did, because this book is the perfect launch for the summer reading season. I found main character Maggie to be really likeable, and I found both her roommate Erika (in the throes of wedding planning) and her actor-boyfriend Evan so well drawn that I was immediately caught in fond reminiscences of the early days of my own marriage, when we lived in cheap apartments, and weren’t really working up to our level of potential – yet. I also liked the boy-next-door, childhood love, Cameron, who wasn’t pedestal perfect. I maintain that it’s the flaws in characters that make them feel real, and these characters are all well balanced with lovely attributes (loyalty, wit, intelligence) and flaws (indecision, prime among them). 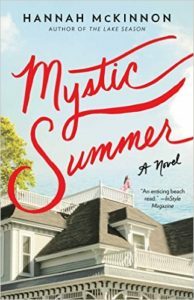 I also loved the fact that most of the novel takes place in and around Mystic, CT. While I’ve never explored the whole town, I’ve made the requisite visits to the old Mystic Seaport, and loved it’s shippy, tarry, historical wonder, and I’ve also lived in tourist towns (Georgetown, CO), so I know what it’s like to be a townie, and understand the love-hate relationship that locals always have with tourists. 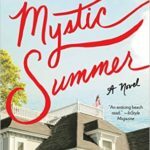 Author Hannah McKinnon manages to make the town of Mystic, and the Mystic River into a character in its own right, and I really appreciate that the setting was so intrinsic to the story. The story itself blends yearning and nostalgia, and the inevitable choices we make between embracing the new and returning to the old and familiar, and it does so in a way that is both compelling and interesting. While this novel could easily have turned into a formula romance (and I admit there’s a time and place for those), McKinnon’s writing is deeper than that, and her characters don’t always make the obvious choices. 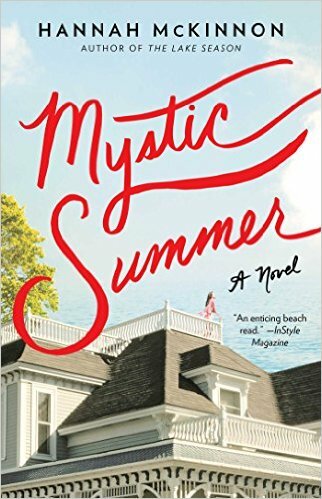 Overall, Mystic Summer was a richly detailed, unputdownable story that is light enough to be a beach read, but deep enough to be satisfying and interesting all the way through. Goes well with, New England clam chowder, crusty sourdough bread, and chilled Samuel Adams Summer Ale. One winner in the U.S. or Canada will get a copy of this book. 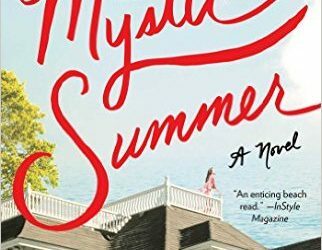 Enter by commenting on this post (tell me one thing you’re looking forward to this summer), OR Like AND Share the Facebook post (I’m MissMelysse), OR Retweet my Twitter post about this review (I’m @Melysse). One entry per action. No more than one entry per action, per person. Contest is open until 11:59 PM CDT on Wednesday, June 22nd. Tuesday, June 14th: Dreams, Etc.